NEW YORK (AP) — The New York Knicks are turning to Patrick Ewing in hopes of lottery luck. Ewing, the prize when the Knicks won the first NBA draft lottery in 1985, will represent the team on stage when it attempts a turnaround by landing the No. 1 pick on May 14 in Chicago. 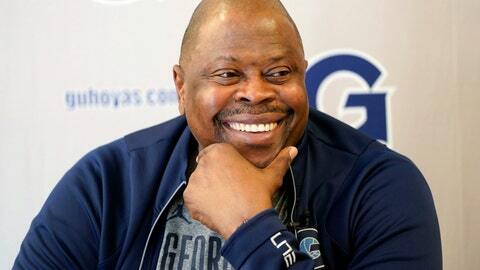 The Knicks announced Saturday that the Georgetown coach would fill the role Dave DeBusschere had when the Knicks selected Ewing. He went on to a Hall of Fame career with the Knicks, who have been one of the NBA’s least successful teams since he retired. They had the NBA’s worst record this season at 17-65, matching the worst in franchise history, and have a 14% chance of winning the lottery.